The center, which could open in 2021, will sit in Jackson Park, and initial plans for the site include a museum, community garden and children’s play area. In May, Mayor Rahm Emanuel called the development a “once-in-a-lifetime opportunity for the entire city,” and fundraising efforts for the center are attracting major donors. The project isn’t without controversy. Its current design requires the closing of a major roadway, Cornell Drive, which former President Barack Obama defended in May. “If you have that road there’s only so much you can do — you can’t have sledding into the road, you can’t walk to the lagoon,” he said. The Chicago Department of Transportation is investigating ways to manage the potential road closing. Other groups have called on the foundation to enter into a community benefits agreement, which would hold the center to specific hiring policies and affordable housing initiatives. The foundation has maintained that a CBA isn’t necessary and the center will benefit the surrounding community. Michael Strautmanis, vice president of civic engagement, joins Paris Schutz in conversation. 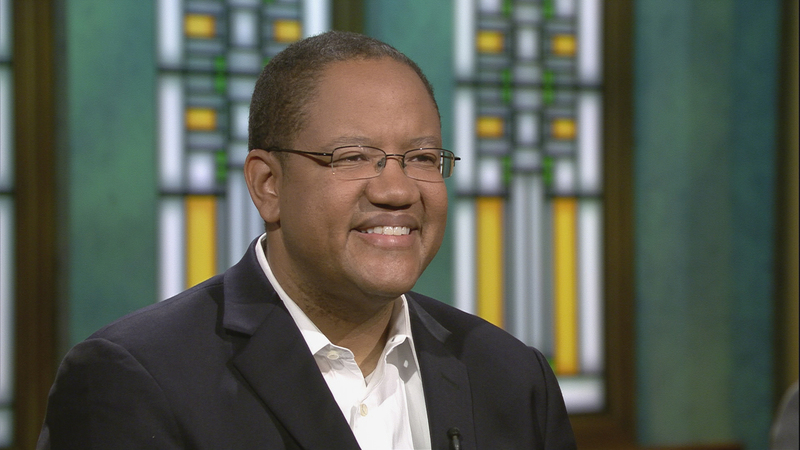 May 31: As museum director, the Yale graduate will lead the design, development and operation of the Obama Presidential Center’s museum, according to the Obama Foundation. May 23: Why some community groups are mounting opposition to the Obama Library's Jackson Park location and where they say it should go instead. May 3: The first conceptual designs for the Obama Presidential Center in Jackson Park have been revealed. Take a peek at the renderings.